Because Gibraltar and Spain are both part of the EU, residents of both are free to live or work in the other. 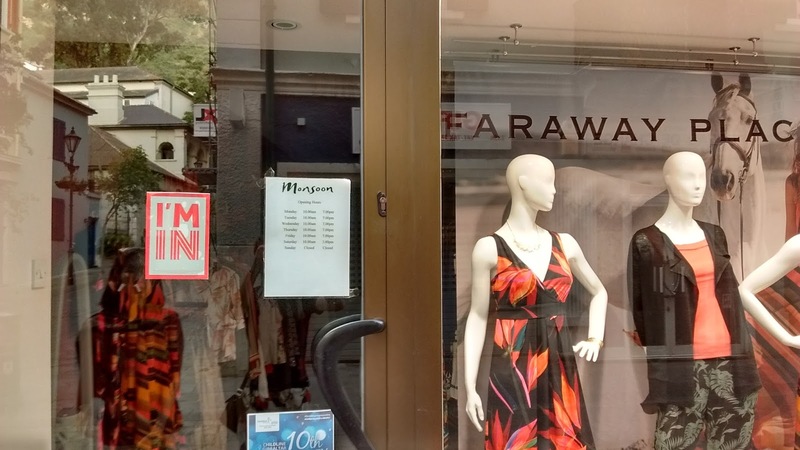 Thousands of people live in Spain, where food and rent are cheaper, and commute to work in Gibraltar, where wages and employment are higher. 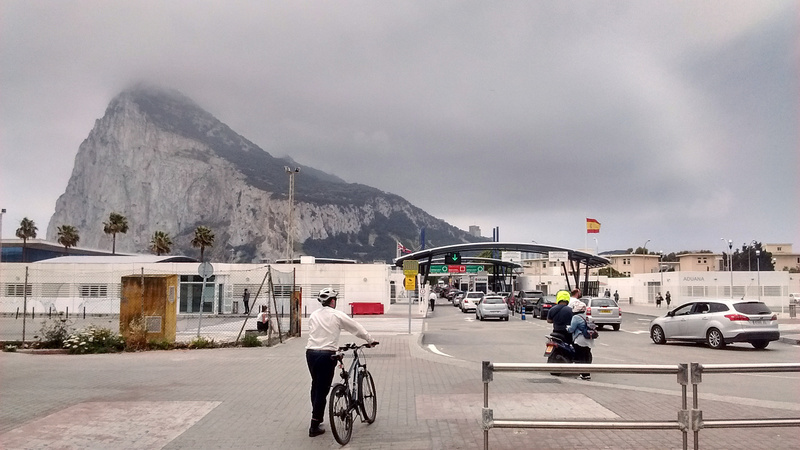 Gibraltar residents also rely on the semi-open border for access to affordable goods from Spain. But that could all come grinding to a halt if the UK decides to leave the union. 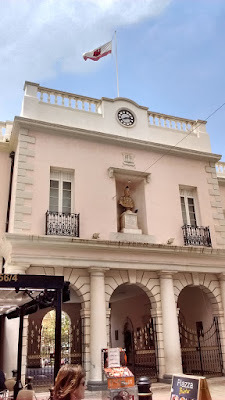 Gibraltar is a special EU territory that's outside the Customs Union and the Schengen Area, so there are still passport and customs checks at the border (though they seemed pretty lax to us). But in pre-EU days, Spain closed the border altogether as a way of protesting British control of the peninsula. Crossing the border from Spain into Gibraltar. In the background is the Rock of Gibraltar. 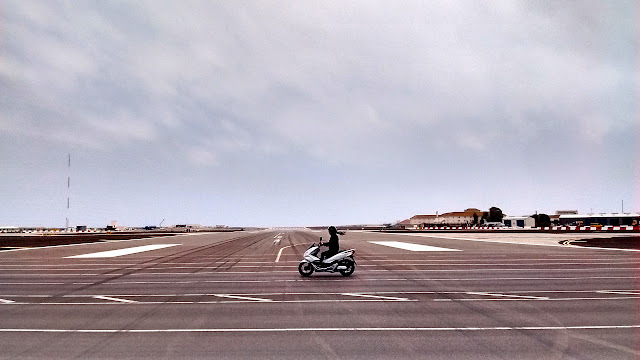 As a funny side-effect of Gibraltar's position on a tiny peninsula, all traffic across the border has to cross the runway of the Gibraltar airport. 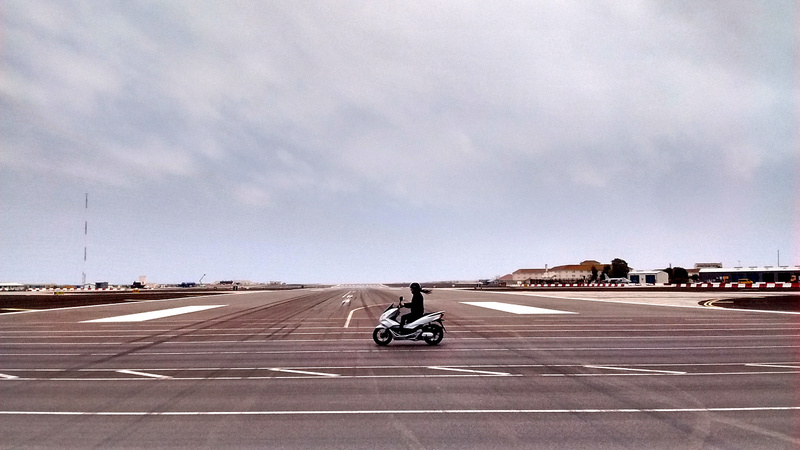 There are only five or ten airplane takeoffs and landings each day, but each time there is one, cars and pedestrians have to wait for it to finish before they can go from Spain to Gibraltar or back. A planned traffic bypass is years overdue. 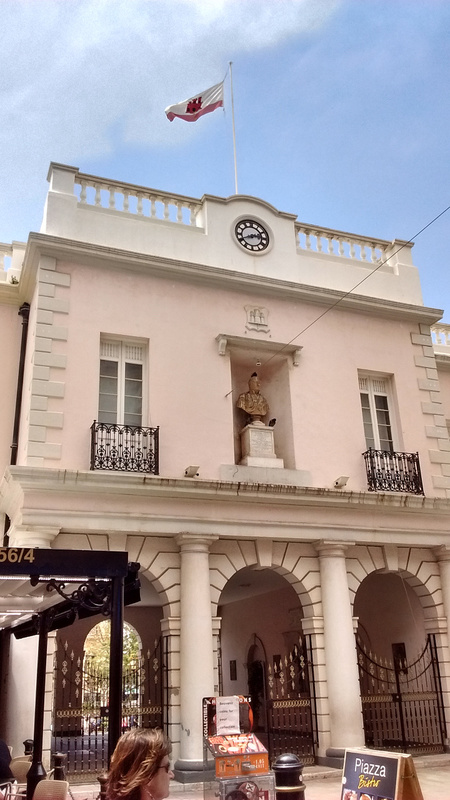 Unlike British colonies of the past, Gibraltar is almost completely self-governed by its own elected parliament. For internal matters, the Gibraltar parliament doesn't even legally answer to the British parliament in Westminster. But although Gibraltar's not considered part of the UK, its land officially belongs to the UK, and it can't have its own military or international relations. That means if the UK cuts ties with the EU, Gibraltar is along for the ride. 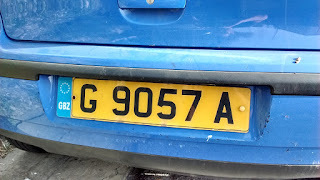 Gibraltar vehicle plates have their own country code - GBZ. 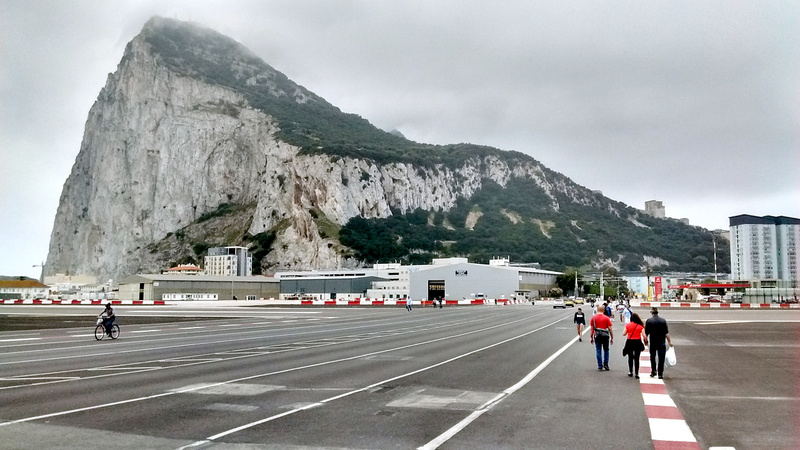 Gibraltarians are able to vote in EU elections through a special arrangement that treats them as constituents of southwestern England, and the same arrangement will allow them to vote in the "Brexit" referendum. 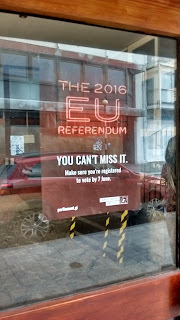 Though the territory's 23,000 registered voters are just a drop in the bucket compared to the 45 million or so in the UK, this referendum might come right down to the wire, so it's not out of the question that they could make a difference. In any case, Gibraltarians want to be heard, even if only as justification to demand help from the UK if they do get pulled out of the EU. 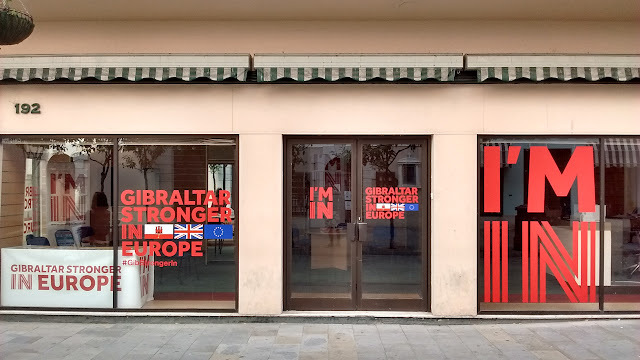 Because of the Gibraltar's heavy dependence on the border, all three of the territory's political parties are campaigning for the UK to remain in the union. And what about regular voters? A local newspaper poll found that 88% of people who planned to vote supported staying in the EU. The Gibraltar chapter of Britain's anti-Brexit "Stronger In" campaign has a prominent office on the town's main street. 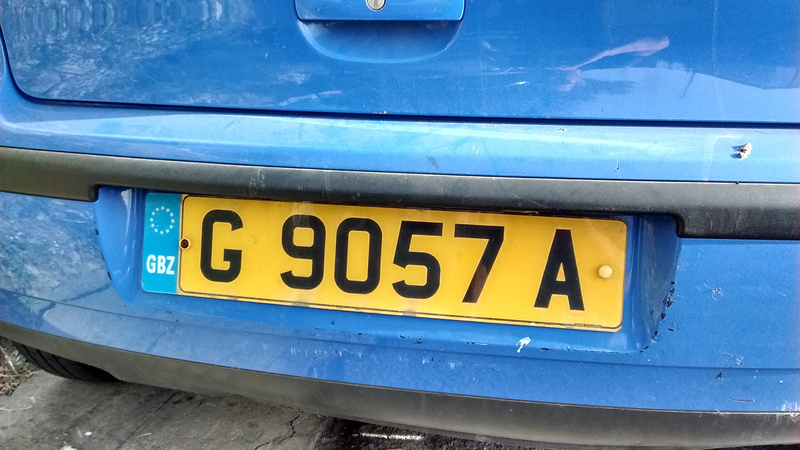 Continued EU membership is uncontroversial in Gibraltar. 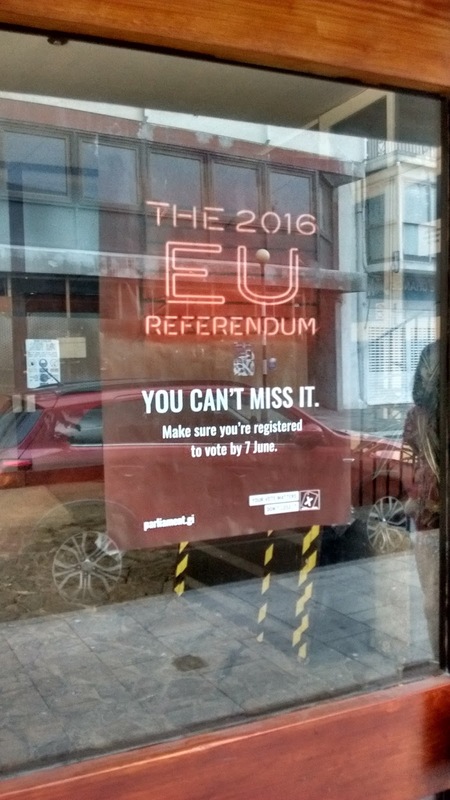 "I'm In" stickers show many local businesses' open support of the campaign to vote against leaving the EU. 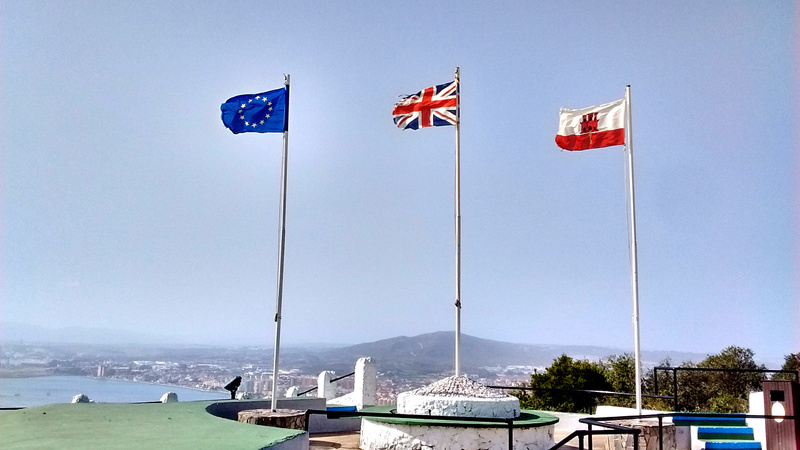 It's hard to say exactly what will happen to Gibraltar if the UK does choose to quit the European Union - and that uncertainty is part of what most Gibraltarians are trying to avoid. 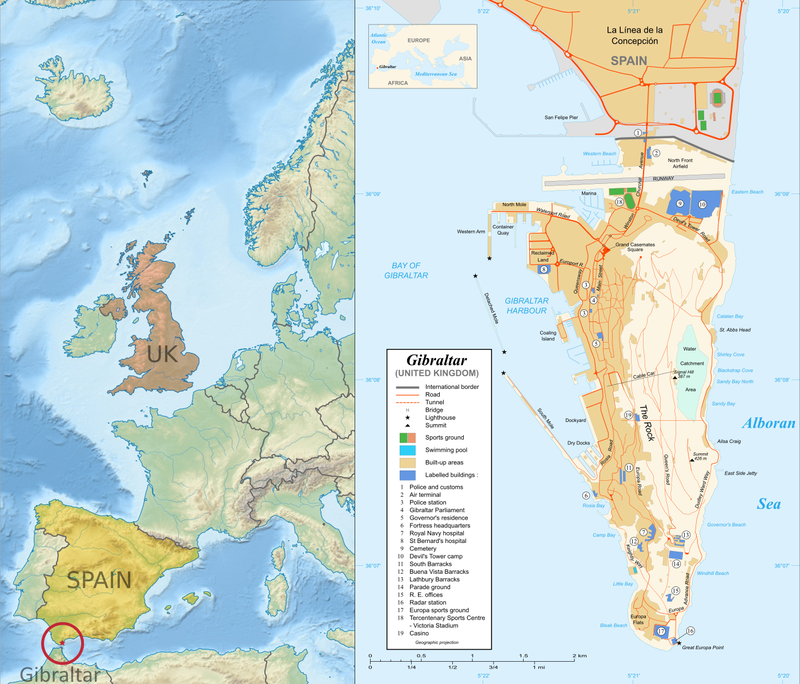 For now Gibraltar seems content to be a British territory: residents have already twice voted against joining Spain. But if they feel betrayed and abandoned by a UK that wants no part in the EU, could demands for greater autonomy or even independence be around the corner? Only time will tell. Photos and text by Evan Centanni, except where specified otherwise. All rights reserved.